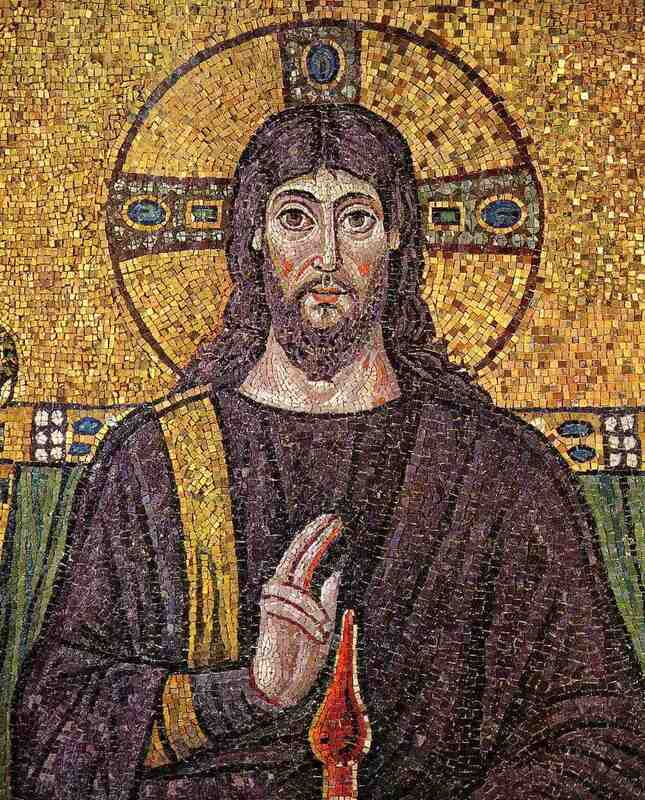 Recently discovered underground temple in Cappadocia, Turkey contains early depictions of Jesus dressed in purple with red cheeks similar to other mosaics showing Jesus dressed in purple with red cheeks. ..... Yet another historical church has been unearthed in the Cappadocia region of Central Anatolia and experts are excited about its frescoes, which depict scenes hitherto unseen. The rock-carved underground church is located within a castle in the center of Nevşehir that spreads over an area of 360,000 square meters, within a third-degree archaeological site that includes 11 neighborhoods in the city centre. 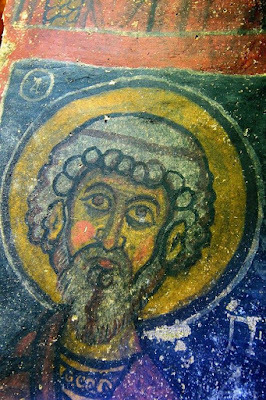 Nevşehir Mayor Hasan Ünver said the frescoes in the church showed the rise of Jesus the Christ into the sky and the killing of the bad souls. 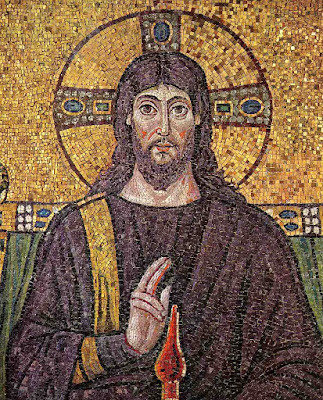 “We know that such frescoes have so far never been seen in any other church,” Ünver said, adding that preliminary studies show the church dates back to 400 A.D.